The software can display the FEMA digital Flood Insurance Rate Map (FIRM) directly on the Map View. 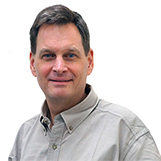 It is required that the Map View be assigned a coordinate reference system so that the FEMA FIRM map can be correctly georeferenced to match the map coordinates. 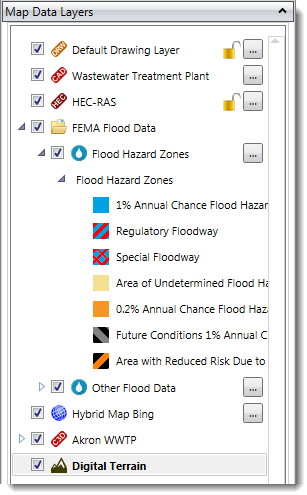 From the Watershed ribbon menu, click the FEMA Flood Data dropdown combo box listing and then choose the FEMA Flood Data command. The FEMA Flood Data dialog box will be displayed. 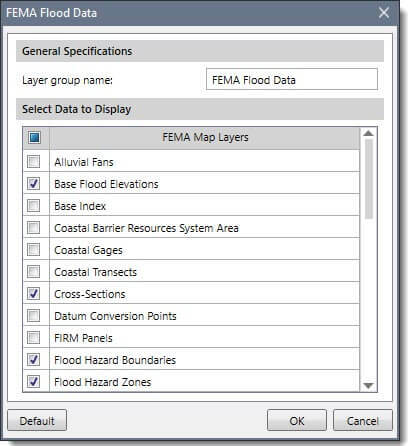 In the General Specifications section, the default layer group name is FEMA Flood Data and can be changed by the user. In the Select Data to Display section, the user can choose the FEMA map layers to display on the Map View. The user can use the provided default selection as these are typical layers used. However, the user can experiment with the various layers to customize what FEMA map layers to be displayed on the Map View. To return to the default settings, click the [Default] button. When options have been properly defined, click the [OK] button and the software will display the FEMA flood map on to the Map View. As you zoom and pan about, the FEMA flood map will automatically update to fill the extent of the Map View display. 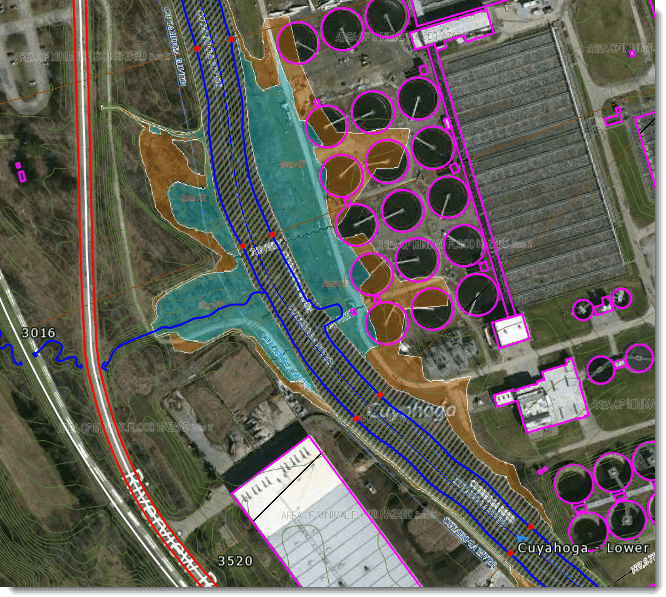 The software will then place the FEMA flood map in a layer group in the Map Data Layers panel. The Map Data Layers panel will contain a legend detailing the contents of the displayed FEMA flood map. Expand the layer to see the legend details.